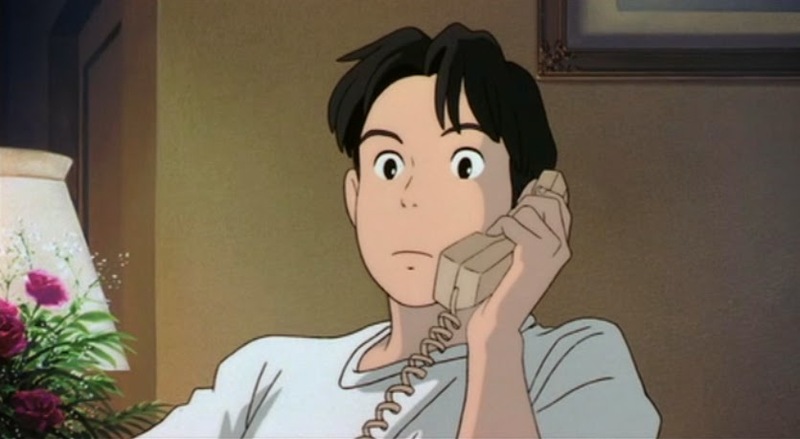 So ‘Oceans Waves’ was an attempt by Studio Ghibli to let the younger staff members produce a film of their own, albeit one for television. ‘Ocean Waves’ tells the story of a love triangle between three high school students, two of them best friends. So if ‘Ocean Waves’ sounds like a soap-opera, that’s because in many ways it is one. The film even makes several jokes at the expense of itself for having a silly story. However ‘Ocean Waves’ sells itself short in this regard. 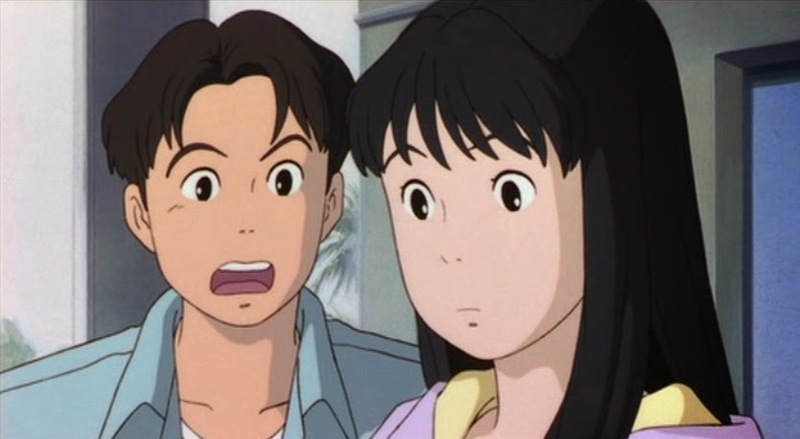 The script of ‘Ocean Waves’ is surprisingly good considering it was developed by the less experienced members of the Ghibli team. 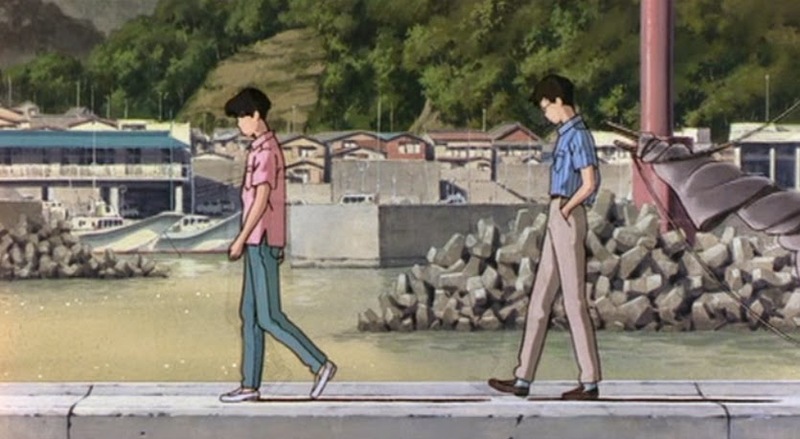 The story is told from the point of view of Morisaki, primarily in the form of flashbacks. We see from his position the moments that led to the love triangle and the fallout from it. Where ‘Only Yesterday’ focussed on the strong pull of memories, ‘Ocean Waves’ instead looks at the drifting, dreamlike nature of such thoughts. This causes some pacing issues, with the start of the film feeling somewhat slow, even by Japanese standards. ‘Ocean Waves' puts a lot of time, time it doesn’t have, into introducing the lead but fails to put as much effort into the other two corners of the triangle. In the case of the girl, Rikako, this is to make her more mysterious and attractive. This works perfectly, making her someone you want to learn more about. The issue comes that Matsuno, Morisaki’s best friend, is also left to be mysterious. This really stops us caring about his feelings in the situation and makes Morisaki’s loyalty to him seem a bit strange. The design of Matsuno doesn’t help things either, he looks like your typical anime school underdog, complete with glasses. Think slightly more competent Millhouse, that’s what he is. It isn’t really that he is a bad character but we don’t really get to know him and since we're seeing the world through his best friend, we should know him well. Despite some initial pacing problems, once settled into its groove ‘Ocean Waves’ really holds your attention. Several times ‘Ocean Waves’ managed to remind me of moments from my own past, mistakes my younger self had made. It really captures that feeling of sharing a moment with someone, as if time has stopped around you. If nothing else it captures falling for a crazy girl pretty darn perfectly. 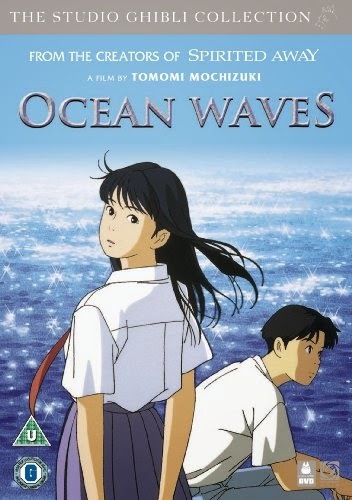 So ‘Oceans Waves’ reminds me of the scene in ‘Whisper of the Heart’ where Shiro Nishi describes the young Tsukishimi’s manuscript as a rough diamond, one that can be improved. ‘Ocean Waves’ feels like it was made by younger staff members. Due to this it has some issues as mentioned above but it also shows signs of brilliance at times. The film drifts through memories, sometimes drifting too much but it hits its emotional marks more times than not. 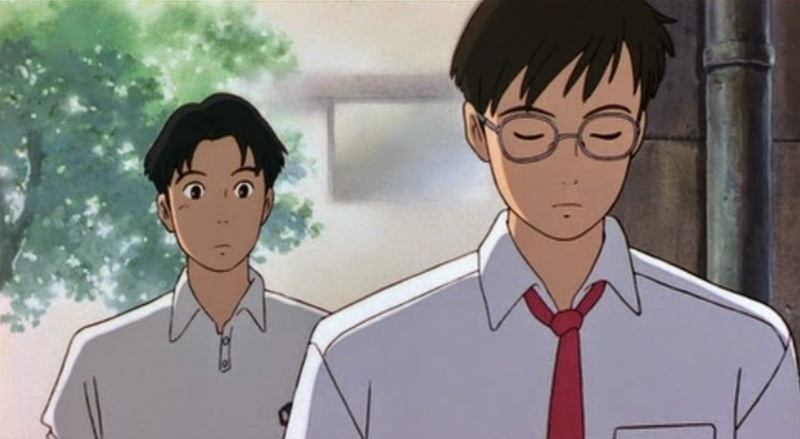 ‘Ocean Waves’ is a bit inconsequential in some ways but it has a lot of heart and certainly lives up to the Studio Ghibli name in that regard.